Enterprise Risk Management for small/medium sized companies. Innovation, Management Systems and tools for small/medium size companies. Palisade is the maker of the world's leading risk and decision analysis software, @RISK and the DecisionTools Suite. Designed by the project risk experts that brought Pertmaster™ to market, Safran Risk delivers advanced quantitative risk analysis in an intuitive user interface, interoperable with Primavera P6, Microsoft Project and Safran Project. Software systems for quantitative risk analysis and management. Designer of decision aid software packages, world leader in Bayesian networks for data mining. 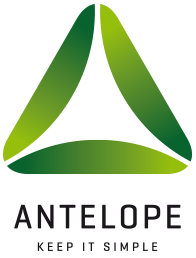 Antelope provides a simple, pragmatic and integrated Risk Management System (Risk appetite, risk register, risk library, Montecarlo simulation...). You are invited to read these Legal Terms and Conditions (“Legal Terms”). By accessing and using the services available on pragmarisk.fr (“the Website”), you agree to be bound by these Legal Terms as if you had signed them. In case of disagreement with these Legal Terms, do not access or use this Website. PRAGMARISK is the owner of the Website accessible at www.pragmarisk.fr. These Legal Terms defines the contractual agreement between PRAGMARISK and each user accessing and/or using the Website. “Website” : refers to the website “ www.pragmarisk.fr”, its information content such as all text, graphics, photographs, graphs, sounds, data, images, software … owned by PRAGMARISK or licensed to PRAGMARISK. “User” or “Visitor”: refers to anyone coming to the Website and exploring the public areas of the Website. PRAGMARISK is the owner or licensee of all rights in the Website, its software, services, functionalities and more generally all elements composing the Website (hereinafter referred to for the purpose of this article as “Website Elements”). PRAGMARISK grants to the User a worldwide non-exclusive and non-transferable right of use of the Website for the duration of the Legal Terms. The User has the right to download, view, copy and print any Website Elements exclusively for its own and private use of the Website. Notwithstanding the above grant, User may not modify, transfer, sell, reproduce, broadcast, sub-license or publish any of the Website Elements. No license and no right other than the right of site viewing is granted to any person in respect of intellectual property rights. Reproduction of Website elements is authorised solely for informative purposes and for personal private use: any reproduction and any use of copies made for other purposes is expressly forbidden. In particular, the User is expressly precluded to modify in any manner, translate or integrate all or part of the Website Elements. All corporate names, logs and trademarks mentioned in this site belong to PRAGMARISK. They may not be used without the prior agreement of PRAGMARISK. The User, in turn, holds the rights pertaining to the elements that may be remitted by it to PRAGMARISK. The user who provides information to PRAGMARISK grants PRAGMARISK full transfer rights relevant to such information and authorises PRAGMARISK to make use thereof as it deems fit. The information provided by users will be considered as non confidential and must respect the conditions set forth in article 6. Accordingly, the User grants for the duration of the Legal Terms to PRAGMARISK, pursuant to the present Legal Terms the right to reproduce and digitally represent, a non-exclusive and non-transferable worldwide right to publish the elements remitted to PRAGMARISK and giving rise to intellectual property rights as well as all distinctive signs such as trademarks and logos. These Legal Terms and their future amendments shall remain valid as long as they remain on the Website. The Website is available 24 hours a day, 7 days a week. PRAGMARISK aims at the continuous enhancement of the services available on the Website. Consequently, PRAGMARISK may perform all modifications of the Website services it deems necessary. Any use of the Website services by the Users after said modifications will be considered as an acceptance by the User of the modified services available on the Website. PRAGMARISK reserves the right to occasionally interrupt the Website services without justification or to suspend as a matter of right and for any reason whatsoever, at any time without prior notice, access for its Users to the Website and its services. PRAGMARISK disclaims any liability for the possible consequences of such interruptions or suspensions. The User warrants that the information, data and any other elements that may be provided by it on the Website are true, accurate, current, complete and decent. User further warrants that it is authorized to provide such information, data and elements and that said data, information and elements provided on the Website are not subject to any third party rights and, in particular, are not infringing upon any third party pre-existing right. Should it be the case the User shall indemnify and hold PRAGMARISK harmless from any claims complaints, objections, and oppositions arising from and in relation to such infringement. The User also warrants PRAGMARISK against any actionable tort claim from all persons relating to the erroneous nature or deceitful information posted on the Website under its responsibility. The User is precluded from using the Website and functionalities for unintended use or placing a virus on the Website through documents or programs or in any manner whatsoever that may damage, interfere with or copy any software, data or information of the Website. The website is provided by PragmaRisk on an «as is» basis. PragmaRisk makes no warranties whatsoever and disclaims all warranties express or implied including without limitation warranties of merchantability, title or fitness for any particular purpose, non-infringement, compatibility, security and accuracy. In no event shall PragmaRisk be liable to any user or to any third party under any applicable law, for any damage of any kind such as but not limited to any indirect and/or consequential damages, incidental or special damages including loss of data, loss of contract, loss or prejudice to the business reputation either arising from any user’s act or resulting of a defective performance of the service supplied by the website, any commercial disorder of any kind, as well as for any financial loss including loss of profits, lost of turnover, regarless of the form of action or legal theory under which the liability may be asserted. PragmaRisk, its information suppliers and service suppliers (and in particular its hosting services provider) shall not be held liable for the broadcasting of any erroneous information or for any delay or failure in the broadcasting of any information on the website or for any temporary interruption of the website service due to the necessary technical intervention including, without limitation, the intervention of a telecommunications operator, for any delays in services due directly or indirectly to electronic or mechanical failures, telecom or interconnections problems which would affect website users . PragmaRisk, its information suppliers and service suppliers (and in particular its hosting services provider) shall not be liable for damaging consequences resulting from irregular or fraudulent use of the website offered services nor for damaging consequences resulting from an unauthorized third party. User waives any right to make any claim against PragmaRisk for any damage, costs, expenses and the like based on any misunderstanding or lack of knowledge arising out of any of the legal terms or the use of the website functionalities. The provisions of this section shall survive any termination of these legal terms. All information available in the site is offered in utmost good faith. Information is deemed to be correct when user have access on it. PRAGMARISK make no representation or warranty, expressed or implied that this information is accurate. PRAGMARISK reject any interpretation which tends to assimilate the content of the site with offers of No purchase shares or other securities, whether listed or non-listed, of PRAGMARISK. No representations or warranties, either expressed or implied, of merchantability, fitness for a particular purpose are made with respect to this information. The User shall always act with good faith within the framework of its use of the Website. The parties recognize as binding evidence the electronic messages, e-mail exchanged between PRAGMARISK and the User and between the User and another User of the Website. According to articles L.110-3 du code de commerce and 1316-2 du code civil, parties agree that all e-mails exchanged between them are binding evidence. As a consequence, PRAGMARISK may bring any necessary evidence through the data contained on its data bases for the resolution of any dispute between the parties. The User shall indemnify and hold PRAGMARISK harmless against any actionable tort claim from all persons relating to the erroneous nature or deceitful information posted on the Website. .
Generally, User agrees to indemnify and hold PRAGMARISK, its officers, directors, employees, agents and representatives harmless from and against any claims, demands, suits for any liability, costs, damages, penalties and expenses brought by or on behalf of any person which arise or are likely to arise out of these Legal Terms or the User’s access or use of the Website howsoever caused. If one or several of the provisions of the Legal Terms are held to be unenforceable or invalid or are declared as such by application of a law, regulation or a final decision of a court of competent jurisdiction, the other provisions shall remain in full force and effect. In the case of difficulty in the interpretation of the clause headings and the contents of any of these clauses, the headings will be declared nonexistent. The Legal Terms are governed by the laws of France for substance as well as for procedure. ALL DISPUTES ARISING OUT OF OR IN CONNECTION WITH THE PRESENT LEGAL TERMS SHALL BE FINALLY SETTLED UNDER THE RULES OF ARBITRATION OF THE INTERNATIONAL CHAMBER OF COMMERCE BY THREE ARBITRATORS APPOINTED IN ACCORDANCE WITH THE SAID RULES. ARBITRATION AWARD SHALL BE FINAL AND BINDING ON THE PARTIES. ARBITRATION TRIBUNAL SHALL TAKE PLACE IN PARIS, FRANCE. The personal information provided by the User may be retained by PRAGMARISK to keep track of User’s access to the Website, to create a profile of the User to better serve it, or to contact the User either electronically or otherwise. PRAGMARISK does not intend to retain User’s personal information longer than is necessary for the purpose it was collected. Cookies are used by PRAGMARISK to speed navigation, keep track of sessions and remember information. Cookies help PRAGMARISK to see how the Website is used and some improvements and updates to the Website services are based on such data (which include for example the number of Users connected on the Website) collected by the cookies. If the User prefers not to accept a cookie, it can set its web browser to warn it before accepting cookies, or it can refuse all cookies by turning them off in its web browser, if such functionalities are included in its web browser. The refusal of cookies may prevent the Website from functioning correctly. Information and data provided by the User may be collected by PRAGMARISK for purpose of generating statistical information and using such information for editorial purposes in order to improve the quality of the services available on the Website. PRAGMARISK may share said non-personal aggregated information with its customers, partners or Users. PRAGMARISK provides from the Website some links to third party websites on which PRAGMARISK does not have any control and for the actions of which PRAGMARISK cannot be responsible. PRAGMARISK is not responsible for the privacy policies or practices or the content of such third party websites and the access by the User to them is at the User’s own risks. The User shall refrain from any act likely to damage the privacy or reputation of other party or any other person by avoiding any libelous, provocative, malicious or threatening comment, message or text. The User of the Website providing data to PRAGMARISK through the Website or otherwise, warrants the accuracy and correctness of any information and data provided on the Website and that it is fully empowered and authorized to provide such information and data. The User has control over its personal information in accordance with the applicable law(s) protecting personal data under which the User is entitled to have access to its personal information and to have false information modified. For this purpose, the User is invited to contact www.pragmarisk.fr webmaster at contact@pragmarisk.fr. In accordance with the regulations protecting personal information, the right to access the personal data is a personal right that can be exercised only by the person concerned with respect to his/her/its own information. The User acknowledges to be authorized to produce the personal information concerned. PRAGMARISK reserves its right at all times to disclose any User’s information provided on the Website in order to satisfy the requirements of any applicable law or regulation. PRAGMARISK does not sell the personal information to third parties. PRAGMARISK reserve the right to disclose and to report to law enforcement agencies information about User violating the Website rules and about any User activity believed to be unlawful . 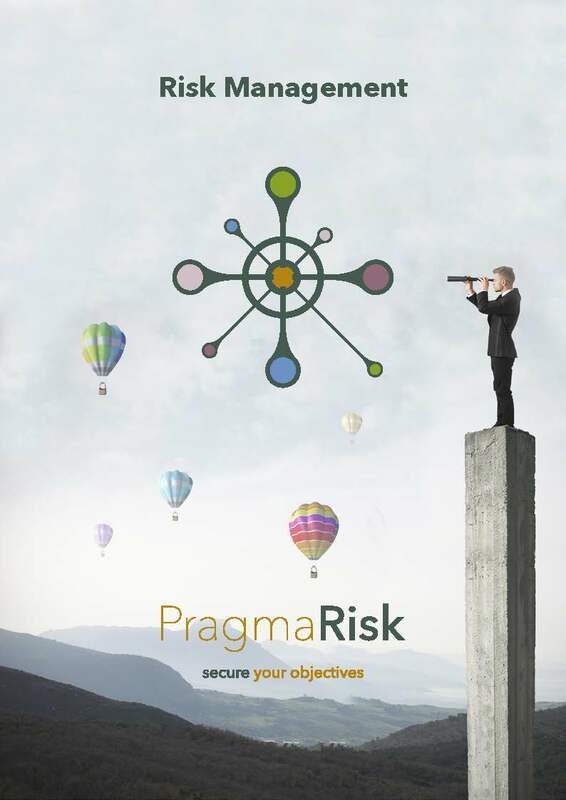 PragmaRisk is a risk management consultancy company that provides services and support covering Enterprise Risk Management (ERM), Project Risk Management and Quantitative Risk Assessment (QRA). Our core-approach is business and project orientated. We are committed to developing efficient practices, suited to each context: from small-medium-sized enterprises to the world's leading, multinational corporations. It has delivered ERM implementation and improvements, Risk Analysis, QRA and Training across Europe, North America, the Middle-East and Asia. PragmaRisk helps clients to develop risk management best practices, both qualitatively and quantitatively, at corporate and project levels. This includes project's risk profiling, mitigation plans, portfolio analysis and risk Data Mining (which helps organisations collect and structure data so that it benefits their ERM programme). It also carries out Monte-Carlo simulation to quantify the risks and uncertainties inherent in the execution of a projet (cost & delay), and advising on contingency funding and budgets. For a company in “project” mode, every deal is a step towards success. The Project Risk Management approach starts at the first steps towards a project and continues throughout each of its phases: feasibility study, tender, execution and operation. To be effective, the method must be adapted to each phase of the project (i.e. issues, timing and resources), while remaining, on the whole, similar. This permits a company to structure information in the same way and facilitate, for example, the passage from the pre-project phase to the operational phase or to use and interpret historical data. To be coherent, the approach must be “shared” between all of the ongoing affairs, even if the projects are often very different in nature (size, scope, technology/market, contract…). Qualitative: what are our objectives? What are the main threats to achieving this objective? What are we doing? Have we done it? Quantitative: what is the impact of these risks on our forecasts/commitments (costs, deadlines and margins)? Are we objective? Traditionally, risk registers are the go-to tool for risk management. 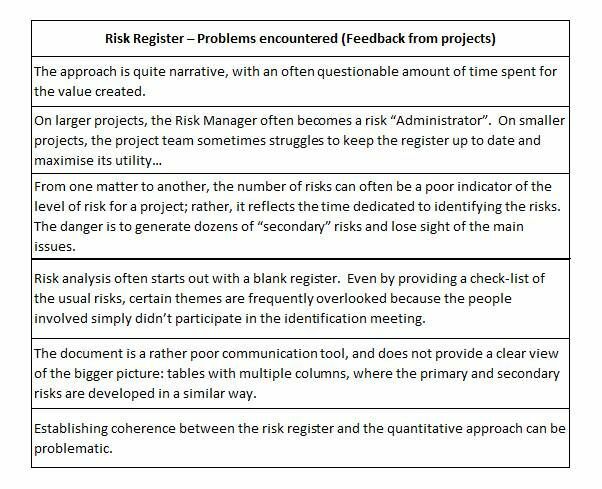 Experience, however, has shown that there can be several problems Problems encountered when using the risk register as the primary (sole) project risk management tool. with this. We have developed an alternative for our clients, which respects the ISO requirements and is built first and foremost around the risk profile for a project. The approach can be used for both small and medium-sized companies and larger groups. Secure and optimise the operational phase. This approach also facilitates the quantitative approach (statistical and probabilistic indicators) by distinguishing what results from firstly the risk of the matter, and secondly from the appetite for risk (i.e. commercial competition and aggressive pricing). Thanks to this, it is possible to put costs and schedule into perspective and take into consideration the changes in the project’s risk profile, which will be increasingly clearly defined throughout the duration of the project. Risk threatens the objectives of any organization: project , company, corporation and local authorities. 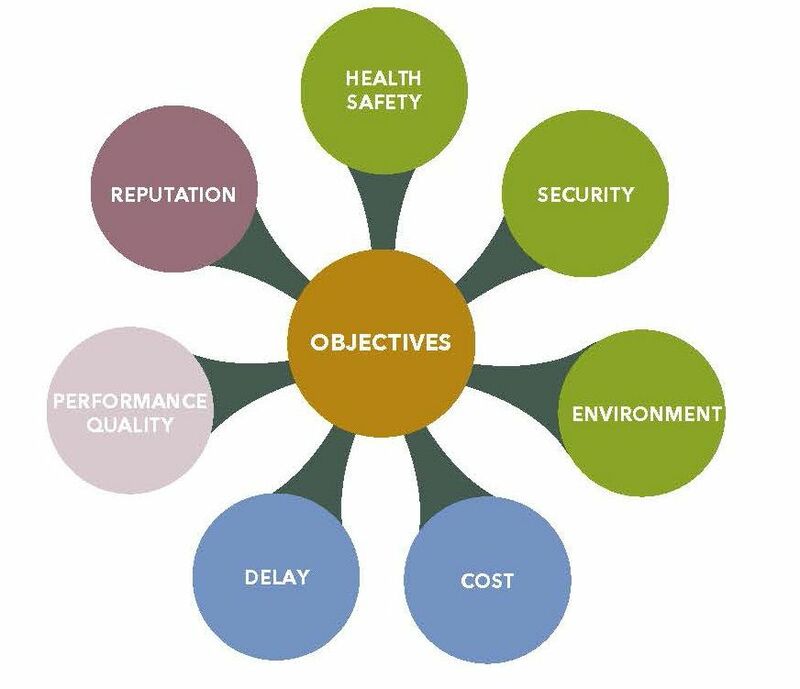 It allows a company to define and implement a strategy for securing these objectives. At a corporate level, Risk Management is called Enterprise Risk Management (ERM). It can be applied at project level, where the objective is to secure the execution plan. It is a global approach, tackling every type of risk. Typical risk-categories in engineering and construction.. It is a structured and continuous process with 4 Key steps. Criticality assessment to focus on key issues and success drivers. Monitoring through reviews, management charts and key performance indicators. Quantifying risk means expressing the likelihood and potential extent of budget overruns and schedule delays. This is particularly crucial to having a comprehensive overview of risks. "ISO 31000:2009, Risk management – Principles and guidelines", provides principles, framework and a process for managing risk. It can be used by any organization regardless of its size, activity or sector. ERM is clearly a highly valuable tool in running a company - it embraces all of its objectives, highlights challenges and focuses people on developing strategies to secure the future of the company. For a company working in project mode, the success of each project is a priority; the core approach of 'Enterprise Risk Management' is then project orientated. What are our main Risks and Opportunities ? What changes need to be made to secure and boost our growth ? Finally, it is also essential to develop a quantitative approach to risk, to continuously resource and improve the approach to ERM (Data Mining, statistical & probabilistic methods). PragmaRisk helps clients to develop risk management best practices, both qualitatively and quantitatively, at corporate and project levels. From small-medium–sized enterprises to the world's leading, multinational corporations, we have the solutions to suit the time and resources you want to dedicate to it. We are committed to continuously developing the most simple and effective Risk Management approach. Engineering and Construction Risk Institute: ECRI - was formed and is currently sponsored by the world’s largest Engineering & Construction firms. AACE - Association for the Advancement of Cost Engineering - This is the main reference for those involved in Project Controls across the world; it deals with everything related to Estimating, Cost Control, Scheduling, Contract Management and Risk Management. AMRAE - Association pour le Management des Risques et des Assurances de l'Entreprise (the French Association for Corporate Risk Management and Insurance). The main reference for French Risk Managers - sorry, mostly in French, but some publications are available in English. With regard to ongoing projects, snapshots of Portfolio Risks are essential to ensure risks are well diversified. They allow you to identify areas where risks are concentrated and focus the company on developing business strategies to improve the situation in the medium-term. These are also valuable dashboard-tools, providing an over-arching picture of projects & risks in an efficient way, for ongoing projects as well as for prospects. 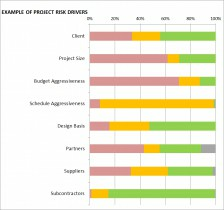 On any given project, what are the main risk drivers and how do you mitigate these? 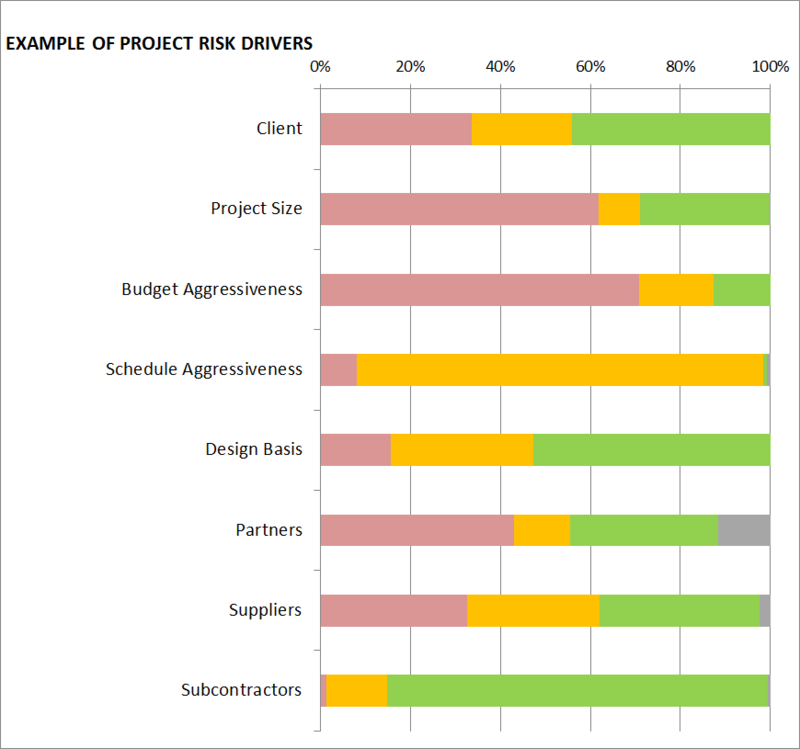 Which projects Snapshots of Projects with regard to their risk profile. 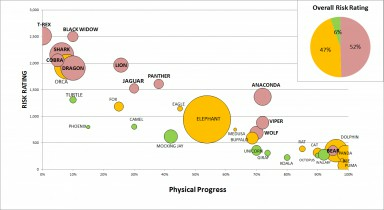 The size of the bubble indicates the project value from a turnover perspective. are at Risk ? How do Risk drivers Example of project risk drivers. Each project risk profile can be consolidated in a snapshot of the project portfolio and highlight risk concentrations. Is this acceptable? What is our Risk appetite in the short-medium term? What changes need to be made at a corporate level? For a company in project mode, cross-functional risks impact all activities and projects, and cannot be handled efficiently at project level. These risks and opportunities require a change-management approach at company level, to secure its growth in the medium-term. The ERM approach identifies and assesses these, and allows you to focus on critical ones. It provides a concrete, common and global way to monitor company risks and opportunities. 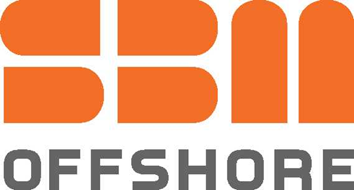 Key parts of the business (services/department/branch etc.) have a role to play in securing and enhancing company growth, and ERM enhances it particularly well around certain core values: team work, creativity, pragmatism and determination. Periodically (i.e. monthly or quarterly), the company’s senior management meets for an overall risk review, to support and take decisions. Here is an example of a Top-Risk sheet Risk description and ownership. Development and monitoring of the risk mitigation plan.describing a risk in more detail and making it possible to monitor whether the risk mitigation plan is being implemented effectively. Here is an example of a Risk dashboard Overall view of risks and status of their mitigation plans., providing a global view of risks and the progress of mitigation plans. How do you consider uncertainties in a budget or cost estimate? Our methods are inspired by techniques used in major international industrial projects and can be incorporated into Enterprise and Project risk management tools. They differ from the methods used in banking / insurance in that they use an operational approach intended for running a company or project and making decisions. They are not focused purely on the result (level of cover, expected margin …) but rather on the operational capacity to mobilize the people involved (inside and outside the organization) in order to influence the result. How do you consider uncertainties in a budget or a cost estimate? How do you define a provision for risks (contingency), specifically taking into account the risk profile of a given project? How do you account for a given risk appetite and remain competitive ? How do you monitor a contingency level for the entire project lifecycle? The objective of contingency recommendation and monitoring is to account for the many uncertainties when planning budgets in order to determine the amount of contingency fund that should be added to the original budget, or to check whether what has been allowed to date in enough. The definition of contingencyWhile Allowances are related to “completeness” of the definition of the known scope, Contingency is related to estimate “accuracy” and the risk of undertaking the project. Contingency is a specific allocation of resources (money, people, time, etc.) added to the estimate for uncertainties due to an evaluation of the possibility, probability, risk and consequences of events which can cause overrunning the base estimate. and how to estimate it are among the most controversial topics in cost engineering. 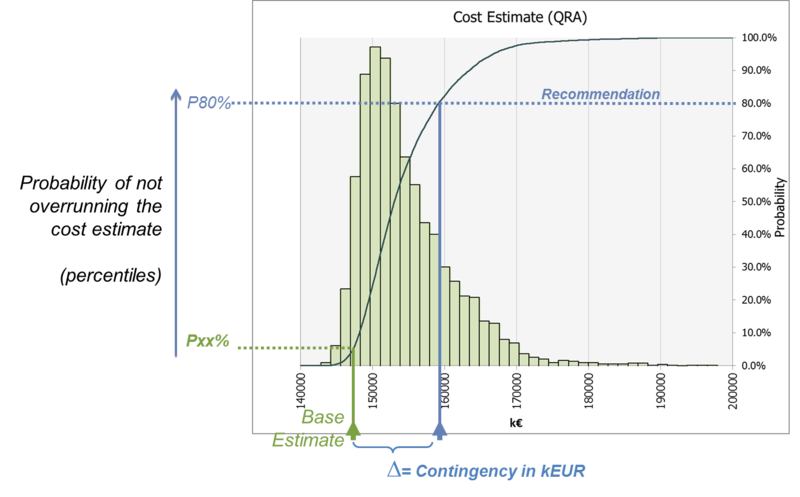 While there is consensus among cost engineers on what contingency is, there is much less consensus on how to estimate it. Predetermined Guidelines: a common approach is to establish a table of contingency values and ranges to be applied by the company. 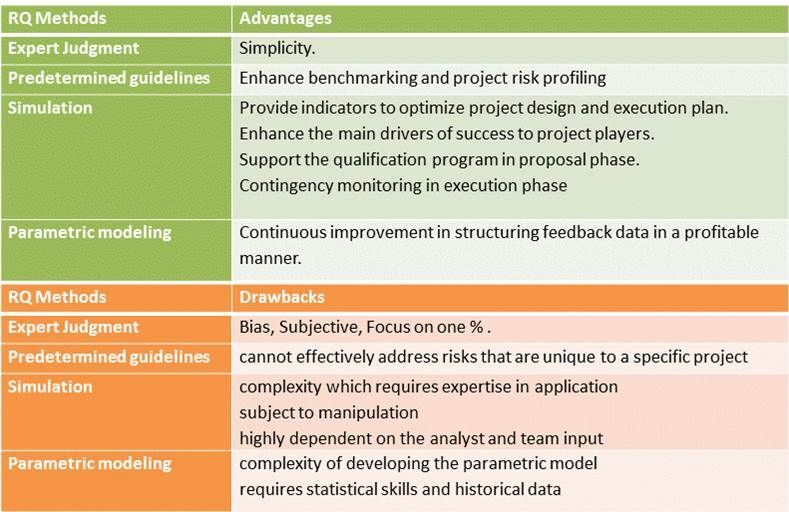 A scoring mechanism sometimes takes into account the specific features of the project and risk profile. 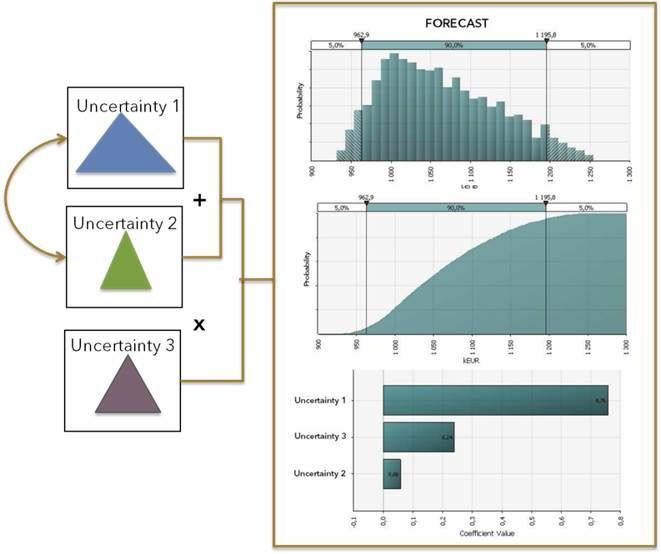 Simulation Analysis (ie: Monte-Carlo) : this method combines expert judgment with an analytical model that is then used in a simulation routine to provide probabilistic output. Monte-Carlo Monte-Carlo model: inputs (ranges) and outputs (distribution of likely results; risk drivers) simulation is a computerized mathematical technique that performs a project simulation numerous times to calculate a distribution of likely results and analyse main drivers influencing these results. Parametric Modeling: A parametric model is based on an algorithm (for instance, a Bayesian network) that employs historical feedback data. One method is not better than another - each has advantages QRA Methods : advantages and drawbacks. Developing and implementing alternative approaches lets you take advantage of each method while you cross-check them. PragmaRisk performs integrated cost and schedule QRA. This is done throughout the life of a project, which can run over several years. Common and seemingly simple occurrences can have detrimental effects on the budget. For example, a construction project over-running means that equipment and manpower must be hired for longer, while costly schedule recovery plans (such as working at night) may be required and contractual damages for delay applied. Project scheduling is usually undertaken with Microsoft Project and / or Primavera, and PragmaRisk’s Monte-Carlo @Risk Excel model bridges both, using inputs as required to account for the potential project risk and its related cost. 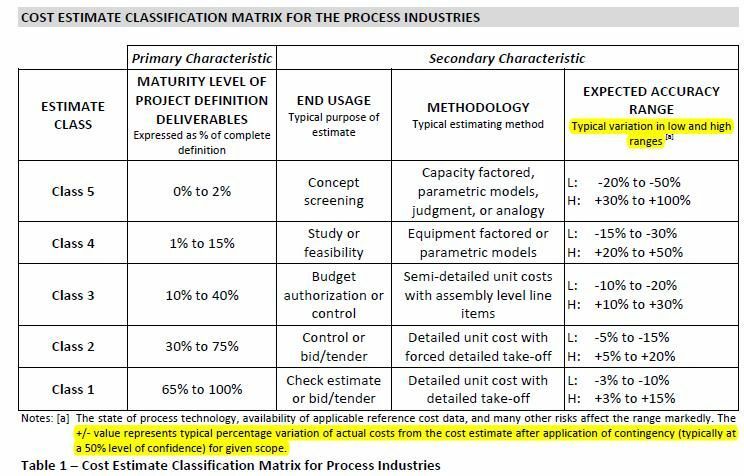 Models account for the cost estimate / budget sensitivity aspects, but also the risk / opportunity events (contractual, sourcing, technical, etc) that can affect the execution plan of the project. For most projects, PragmaRisk models the risks related to the budget and schedule overrunning, taking this integrated approach because cost and time are interdependent, and result in the most indirect costs. 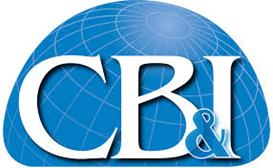 Simplified Cost Breakdown Structure (CBS), showing how much is expected to be spent on each element of a project. The sensitivity of key costs. For example, procurement of industrial equipment and materials depends on the market conditions for raw materials and prices can change by the time purchase orders are placed. When historical data is available, some probability density functions (that determine previous patterns) can be derived and exploited. Simplified Schedule. This is the plan of a project’s key constituent tasks, showing those that are critical to the process, with sensitivity / range analysis of their durations and the way these are linked (ie the knock-on effect that each has on the other). List of risks / opportunities that could impact the project. Ideally these are taken from a specific risk analysis performed on the project, combined with historical information of similar projects. ‘Risk mappingA detailed screening of the risk register ensures issues have not been omitted. At the same time, to avoid uncontrolled cumulative effects, it must be factored in that several risks might impact the same individual cost item or scheduled task. For example, construction productivity risk might combine several individual risks: labour characteristics, site accessibility and congestion issues, weather condition-window issues, revamping and existing infrastructure constraints etc. These are usually identified and addressed separately from a risk management point of view.’ ensures consistency and analyses the interdependencies between the inputs in order to ensure no important correlations are missed and to avoid ‘double dips’ and omissions. - Contingency level required to meet a given Risk appetence..
From there it can be determined how much contingency budget is required to ensure the required level of ‘risk comfort’. This is expressed as the percentage likelihood of not overrunning the cost estimate. For the purpose of budget, when projects are in their early stages, most companies use percentile 50%. This is the median value, and is regarded as a realistic forecast that also avoids ‘killing’ projects before they have been studied sufficiently (Class 5 to Class 3 as per AACE cost estimate classification Source: AACE Cost Estimate Classification System – Recommended Guideline 18R-97 guidelines). When the scope of work and risks are better defined and understood, percentilesPercentile ‘P80’ indicates that there is an 80% chance of being on or below budget, while a P60 shows a good degree of confidence and a P50 is ambitious but realistic about the budget being met. Pricing aggressively, for example to win a contract for strategic reasons, might see a P30 figure. 70% or 80% are traditionally used. By this stage, companies are committed to success and wish to secure their financial forecast. However, an engineering and construction contractor bidding for a new project must make its tender competitive, and might price aggressively (while ensuring this is consistent with its own ‘strategy’ and ‘risk appetite’). The amount of contingency selected for the project will depend on its risk profile, but also on the contractor’s ’risk appetite. Using a Monte-Carlo approach does not predict what will actually happenUsing a Monte-Carlo approach does not predict what will actually happen, but it applies reasoning under conditions of risk and uncertainty. However, because of the nature of risk this does not always produce satisfactory results.  While some researchers try to remove ‘unknown risk events’ and ‘black swans’ via their QRA models, PragmaRisk focuses on the operational aspects of a project and the need to accept working with uncertainty. A project outcome that falls outside the contingency figures forecast is regarded as a learning opportunity to analyse whether a different approach should be taken in future., but it applies reasoning under conditions of risk and uncertainty so that these two key aspects to be distinguished. Finally, the main uncertainties and risks Top-Risk drivers affecting the budget of the project can be outlined. This allows mitigating action to be taken to reduce risks where possible. It also provides a complementary view to the usual ‘Top-Risks’ identified by qualitative risk analysis. This increased coherence between qualitative and quantitative risk management provides a wider view of the project and related risks. Exploiting feedback data to build some contingency guidelines. Monte Carlo simulation is not the only method with which to determine and monitor contingency. In some circumstances, for example if time or the resources available are limited, or for projects undertaken by small to medium sized companies, a detailed ‘risk register’ and / or Monte Carlo risk analysis are usually not feasible because no dedicated resource or risk manager is available. 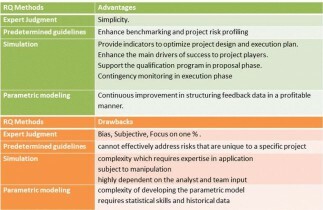 In these instances, an alternative, ‘parametric’ approach can easily and efficiently provide a risk profile for each new proposal or project using both qualitative and quantitative risk management information. PragmaRisk uses statistical tools (ie: Palisade’s StatTools) to analyse the historical data for portfolio projects and produce typical overruns / contingency consumption curves in line with a project’s specific risk profile. In such context, Qualitative risk management uses a scoring mechanism to profile projects based on key risk driversThese include the country where it is to be carried out and the context in which the client operates there, contractual and financial terms, complexity and technology challenges, the basis of the estimate / proposal preparation (for example, whether the contractor has had enough time to research constituent costs), the aggressiveness of cost and schedule assumptions, execution plan sourcing and subcontracting constraints..
From a quantitative perspective, the parametric approach provides a view that complements the traditional ‘expert judgment’ contingency recommendation method. 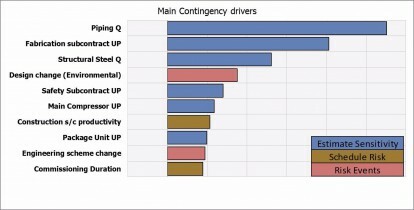 This tailors typical contingency curves built from a statistical tool, using the accounting project risk profile and current context (ie: the risk drivers, physical progress, etc). Advanced analysis of feedback data enables the relationship between the qualitative risk profile of projects and their financial performance to be determined. 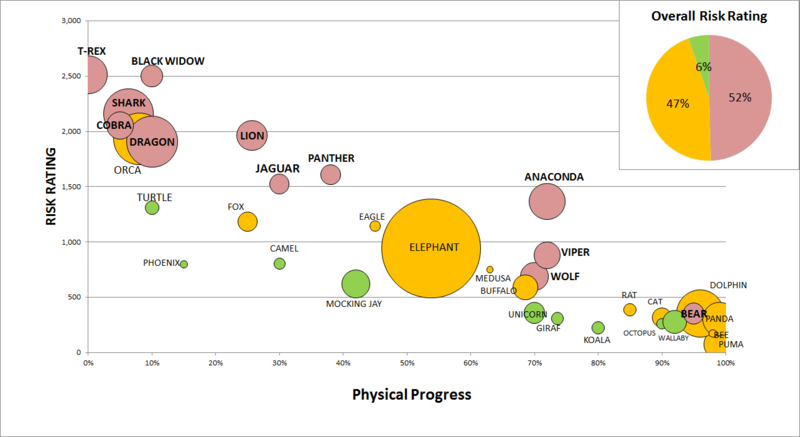 Details examined include the extent of overruns as a function of a project’s physical progress (ie: to flag accuracy issues), the overall effect of each risk driver and the correlation between them. Monte-Carlo simulation is known to be a valid approach from a Cost Engineering perspective with regard to contingency monitoring. PragmaRisk has also developed similar applications using probabilistic methods (Monte Carlo simulation, Bayesian Network etc.) in a wide variety of fields. Power production: factoring in the many uncertainties that determine the power that can be produced and sold. What are the main risks in a business deal? 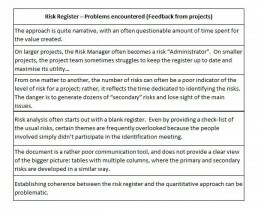 To establish a risk profile for a project, it is first necessary to set out a questionnaire or an analysis table in order to identify risks and categorise projects according to their risk level. This analysis table uses a project risk mapping approach; we talk about an RBS or Risk Breakdown Structure. It is then possible to organise the risks into broad categories (Contextual, Contractual and Financial, Costing, Technical, Operations, QHSE…). The questionnaire must contain at least a few dozen questions. Certain companies push it to one or two hundred criteria in order to cover most issues. Here are a few examples of risk criteriaCountry risk classification: it is possible, for example, to use the OECD classification to assess the political risk and stability of the country where the project is located. Project size: the company sets out the total amount, above which a deal is considered “unusual”. Scope: the scope of a project is a source of risk (e.g. for a construction project: engineering, procurement, manufacturing, construction, commissioning and start-up). Penalties for delay: according to their amount and how they are applied. This questionnaire must be a resource that can monitor the project during the feasibility and pre-project phases, and all through its completion. It must provide the tools needed to take into consideration the changes in the risk profile. A “Risk Mitigation” module lets users perform an in-depth analysis, develop certain subjects and set out a project strategy in response to the risks identified in order to minimise the probability that they arise and/or their impacts. This can also be combined with characteristic quantitative elements (budget, forecast, available provisions for risks, physical progress, project duration, reported delays…) in order to establish a link between this profile and its performance, constitute a database and feed the ERM approach over time to achieve quantitative results. 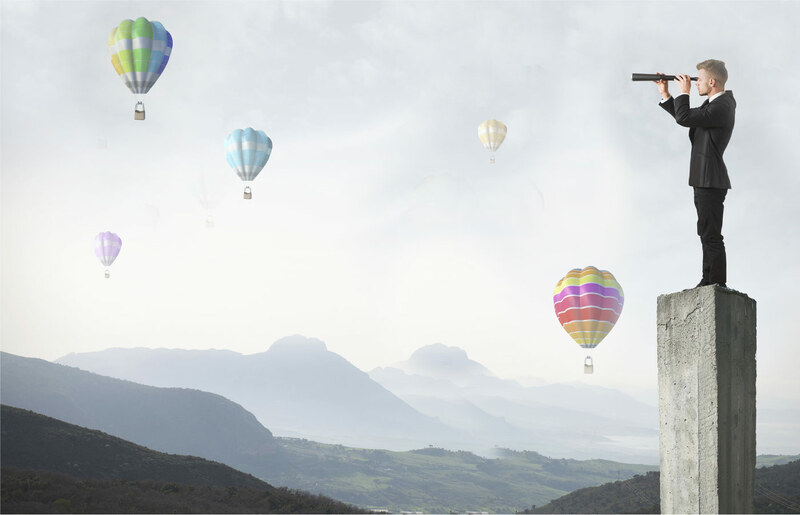 The compilation of “risk profiles” at a project portfolio level offers companies the building blocks to create a tracking system for risk concentration, set out a diversification strategy and monitor its effects over time. When embarking on an in-depth risk analysis, starting with a project risk profile base can save time and rapidly home in on the most important subjects. Essentially, this means prioritising the biggest risks and opportunities. A brainstorming session with the project team is an opportunity to complete the identification process. Alternatively, a brief interview with the people involved in the project, both within the company and especially outside it (client, partners, critical suppliers or sub-contractors), can be a useful solution. Another area for consideration is to re-immerse oneself in the issues encountered during similar deals by speaking with those with experience of them. It is one of the Enterprise Risk Management’s tasks to document and structure the risk archive as the documents are created. For critical subjects, a concise risk sheet exampleis a good way of focusing on the issues. 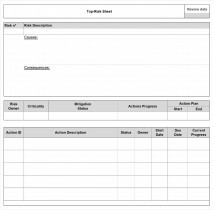 It can be used to track the strategic treatment plan’s progress. 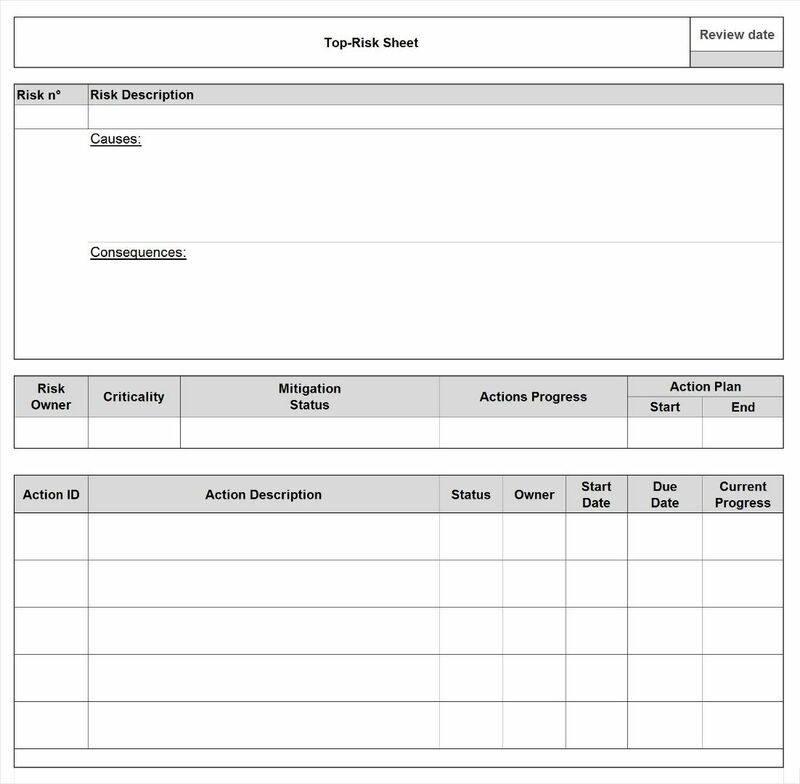 A recap in the form of a dashboard example will provide an overall view of the “Project” risks and their action plans’ progress.